In his everyday life, Ephrem Solomon observes those around him; how they interact and the powers that are unseen. His works are reflections of these observations and are therefore socio-political in nature. 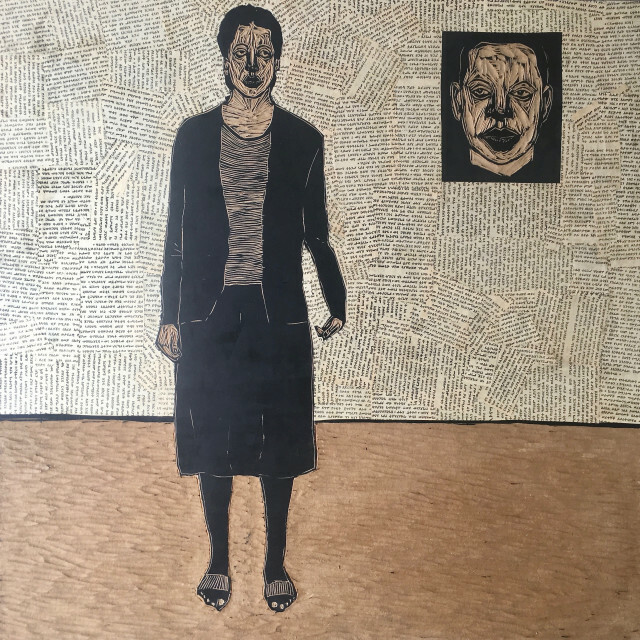 Using woodcut, he incorporates collage and paint to convey messages he believes people are expressing, both implicitly and explicitly. Recurring symbols such as the chair represent the past, present and future authority. He incorporate archival material to provide an anchor to his works; old newspapers in both Amharic and English, provide an entry point into history and how certain attitudes and events tare repeated without us learning from our previous mistakes. He also reflects on his experiences and interactions whilst travelling outside of Ethiopia, the way in which the politics of power are negotiated and expressed through migration, the creation and destruction of boundaries - both collectively and personally.